In this lesson we will learn how create input and output interfaces in Harmony. 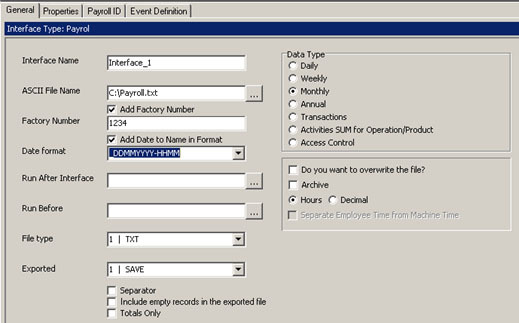 You can import basic employee data from a CSV file and Time & Attendance data to payroll or ERP software by using the Interfaces option in the System Def. .
– Dragging the column header from the Import file format grid. – Changing the field size of field format if needed. – If this filed contains a fixed value, set the fixed value in the fixed field . 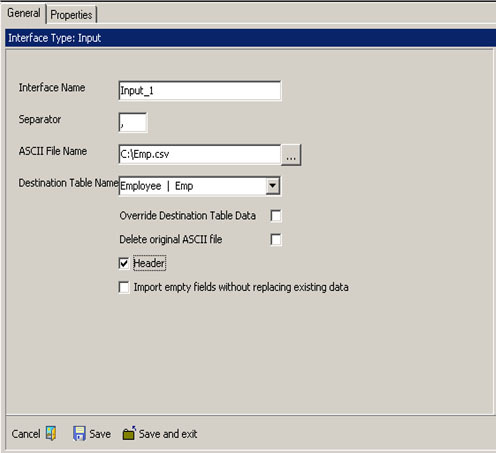 Before your customer can export data to payroll software you need to create an Output Interface in the Interfaces option in the System Def. menu. Create and name the Interface. For details go to the Routine Operation > Interfaces section of the User Manual. 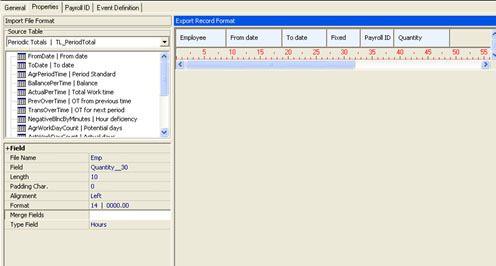 In Figure 4, we see the Import Department format. 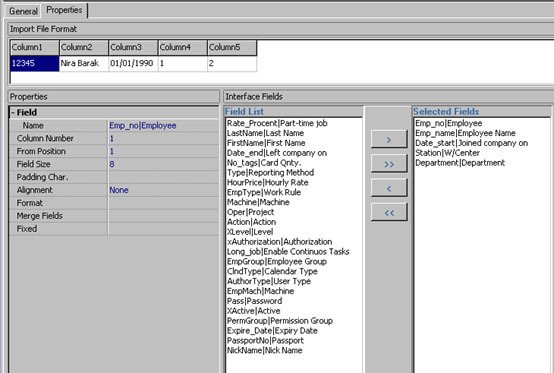 The Export Record Format shows what function each position of the data in each string is used for. Network method– A scheme on which each employee has one row designed according to a predefined order, set in that software.